Many people have fond childhood memories of gathering with friends and family around a campfire and making s’mores. While the gooey combination of marshmallow, chocolate and graham crackers may be the classic sweet snack to indulge in, it certainly isn’t the only one you can make while in the backcountry. Treat yourself and surprise your camping buddies with one of these five unique and delicious desserts that all can be made with minimal ingredients and tools. If you’ve never experienced the delight of indulging in this traditional but sometimes forgotten campfire dessert, you’re really missing out. This dessert is pretty basic but fun to make since you can use whatever “fillings” you’d like. Since the ingredients are dry and can be easily stored in plastic baggies, this dessert is also great for taking along on short backpacking trips. Just be careful to not squish the bananas. To make these you will need some good coals and tin foil. Cut a line through the banana so you can spread it slightly, like a baked potato. Use a spoon to take away just a little bit of the banana so you have room for filling. Fill the slit with the ingredients you prefer. Wrap the banana in a foil tent and bake over coals until the banana flesh is soft and your ingredients have melted. 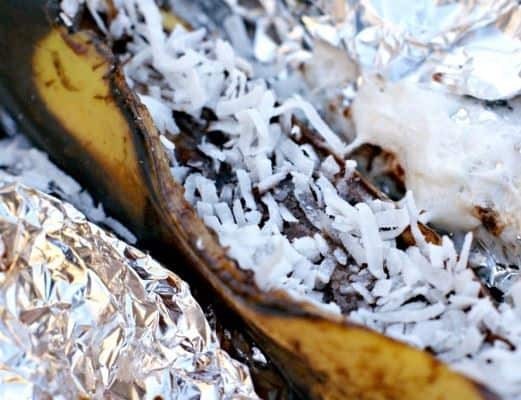 If you are on a diet and struggling to find a delicious but healthy dessert for camping, banana boats are a great option. Just use fillings like dark chocolate, crushed walnuts or almond slices, and unsweetened shredded coconut. Dutch ovens are a wonderful way of cooking over an open fire of any kind. There are hundreds of delicious recipes for dutch oven desserts but one in particular is excellent for camping- dump cakes. Dump cakes are simply cakes that only require you to dump in the ingredients. 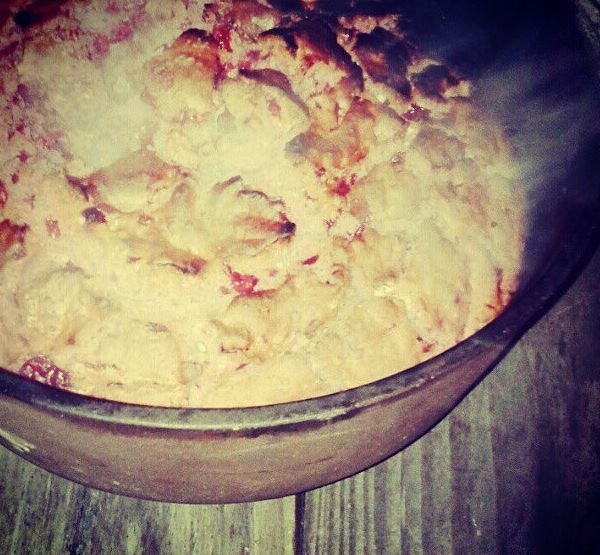 Of course dutch ovens are heavy and therefore this particular dessert is for car campers. First off, get your fire going for a while to get a nice hot bed of coals. Line your dutch oven with foil and add the fruit pie filling first. In a bowl mix together one can of soda with your cake mix. It should be well combined and bubbly. Add this mix over the top of your fruit filling. Cover with oven lid and place on coals, adding some coals over top. It should take about 45 minutes to bake, less or more depending on your fire. Be sure to start checking your cake at the 25 minute mark so you don’t burn it. A dump cake is a perfect dessert for a large group of people and is great for campers with young kids who want to help out. It is an easily customizable dessert so feel free to experiment with different soda, cake and filling combinations. You can also add extras like chopped nuts or chocolate chips on top or mixed in with the cake. If you’re a citrus lover or just a fan of ridiculously simple cooking, orange peel dessert cups will be right up your alley. They are particularly ideal for pairing with breakfast or brunch meals, depending on the baking mix you choose. You will need a knife, mixing bowl and a large spoon for ladling the mix. If you choose a water-only baking mix it will be particularly ideal for camping. To make the cups you will cut the oranges in half and remove the inside of the orange so you are left with a shell. For breakfast you can squeeze and strain the pulp to make juice. Add your baking mix to one half of an empty shell, cover with the other empty half and wrap in 3 layers of aluminum foil. Put these foil “balls” on top of some nice coals in your fire and let them bake. How long it takes depends on your fire and the baking mix. Once baked completely just eat with a spoon. Chocolate brownie or cake mix is particularly good since orange and chocolate pair up so well together. 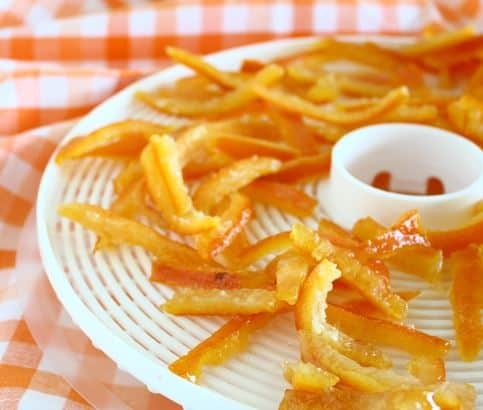 Don’t forget you can use other citrus fruits instead of oranges. Chocolate fondue is a perfect dessert for sharing with a group, which makes it ideal for recreating over a campfire. For a basic fondue you’ll need a single pot with a metal bowl or two small pots that nest together to create a double-boiler. As for utensils for dipping the fruit you can either use classic fondue forks or, as a better option for camping, wooden skewers. To make the fondue you will want a nice low cooking fire going. Fit the pot with water and either place you metal bowl or smaller pot inside of it. You will want a couple inches of space between the top bowl/pot and the water. This double-boiler setup will melt the chocolate perfectly and prevent scorching. 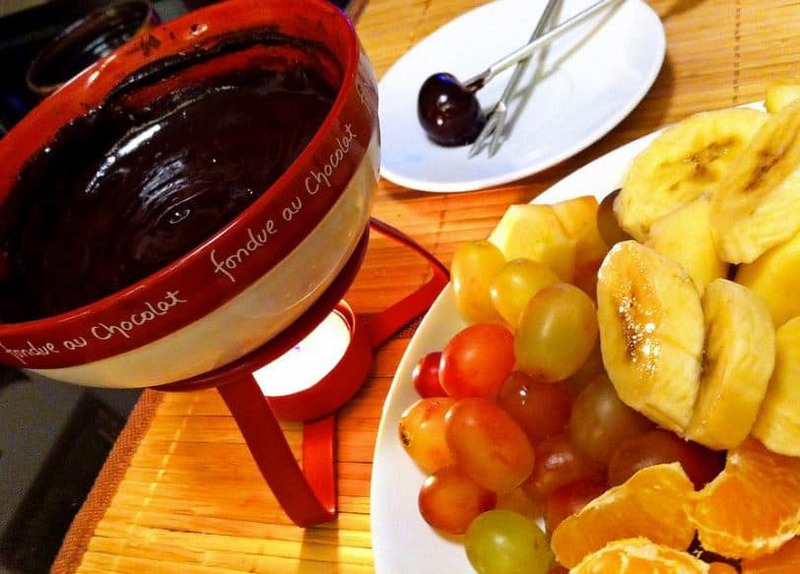 You can really use any fruit you can imagine for chocolate fondue and don’t forget you can also use marshmallows, pretzel rods or even something unusual like bacon. Fondue is a great dessert option that is only limited by your imagination. If you are a diehard s’more lover but want to try something new, this recipe is a must-try. Not only do you get everything you love about a s’more but also a bit of a crunch and less mess. There aren’t many ways to eat s’mores without getting sticky hands so this is a great variation. Now, with this dessert it’s best to prepare them ahead of time at home so all you have to do is cook them at the campsite. Roll out your dough to about a ¼” and cut out roughly 5″-6″ circles- a bowl can function as your cutter. Add 2 or 3 small squares of chocolate, a few caramel chips and a marshmallow to one of half of the dough. You can may to flatten the marshmallow and chop up the chocolate a bit for it to fit. 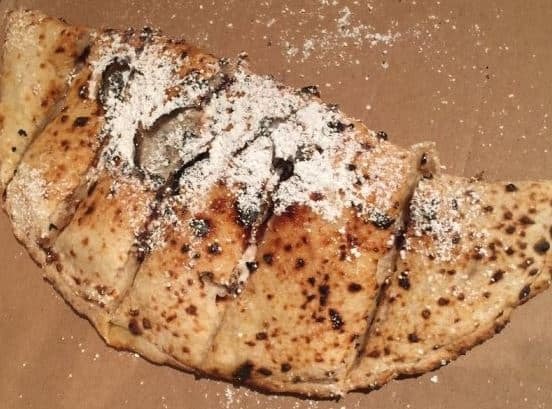 Fold over the other half to cover it and use your fingers to pinch together the edges like a regular calzone. Once you’ve finished all of them you can coat them with a little butter and put them into a large ziploc bag or tupperware. Take them along in a cooler to your campsite to prevent melting. Once you have some good baking coals you can either bake them on tin foil until golden brown or, the best way, grill them over the coals. 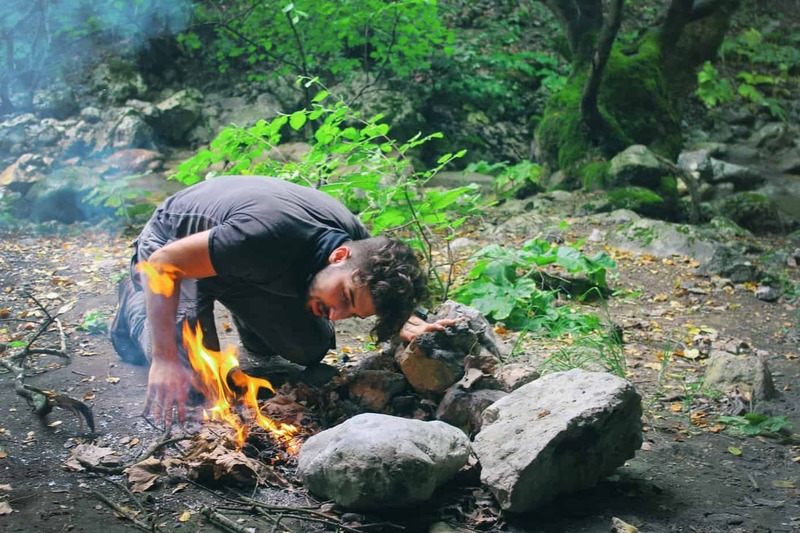 A lightweight foldable grill is a great cooking tool for regular campers. Once cooked, sprinkle with cinnamon sugar and serve. Campfire desserts shouldn’t be limited to just a few traditional recipes. Experiment and create some new memories by trying out these 5 fantastic treats instead.